THE TOP eight male tennis players will battle to win the end-of-year tournament at Greenwich's O2 this week. The Barclays ATP World Tour Finals gets under way tomorrow - the fourth year it has been held at the North Greenwich venue. Andy Murray gets the action started as he goes up against Thomas Berdych. If Murray can clinch the title, it would cap an incredible year that has also seen him win the US Open and also take the gold medal at London 2012. Also competing at the tournament will be world number one, Roger Federer, Novak Djokovic, David Ferrer, Juan Martin Del Potro, Jo Wilfried Tsonga and Janko Tipsarevic. The prize money for the winner stands at $830,000, rising to $1,760,000 if they can go undefeated for the tournament. Ticket prices for the ATP World Tour Finals start at £20. 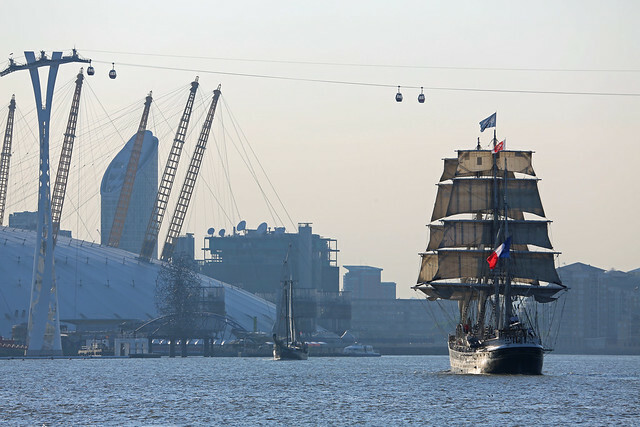 GREENWICH.CO.UK announces that its souvenir calendar for 2013, made using stunning photos from 2012, goes on sale online today. 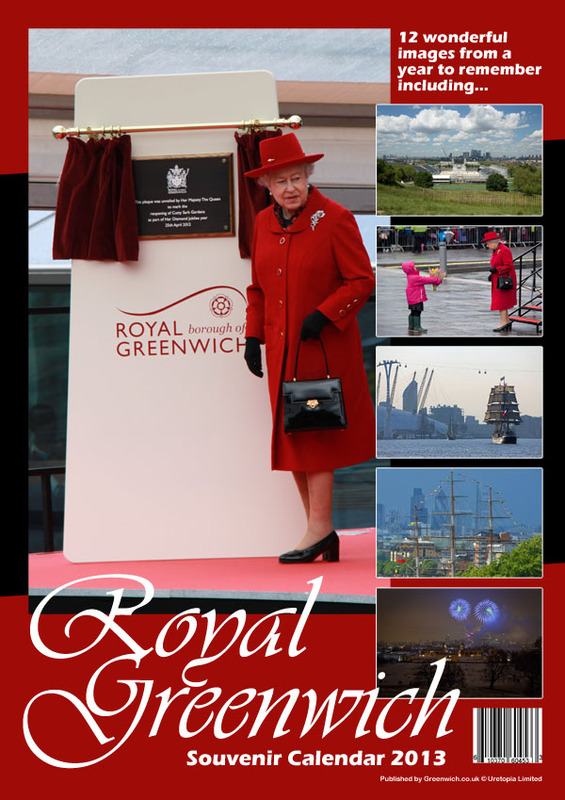 The limited edition keepsake has been created using photos taken throughout this momentous year in the life of Greenwich. The calendar is available to order online at a cost of £10 and will be in selected local retail outlets as of next week. The A3-sized calendar includes ten photos taken by Greenwich.co.uk plus two very special images from wonderful local photographers - Mike King and Peter Hayward. 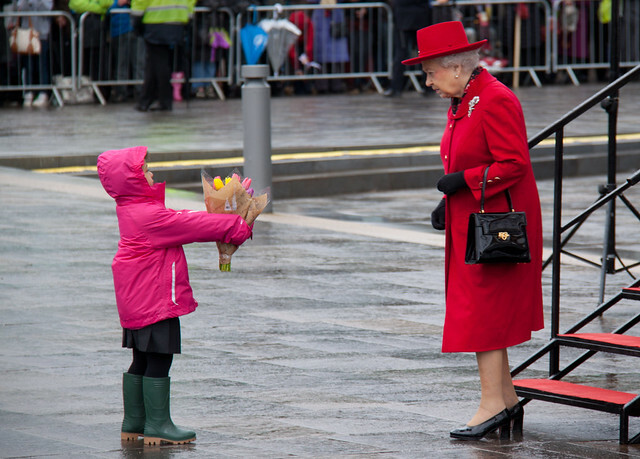 Commenting for Greenwich.co.uk, Rob Powell said: "It has been a privilege to be able to cover some historic events this year in Greenwich for the website and I hope this collection of photos I have selected can be enjoyed as a souvenir from what has been a year to remember. 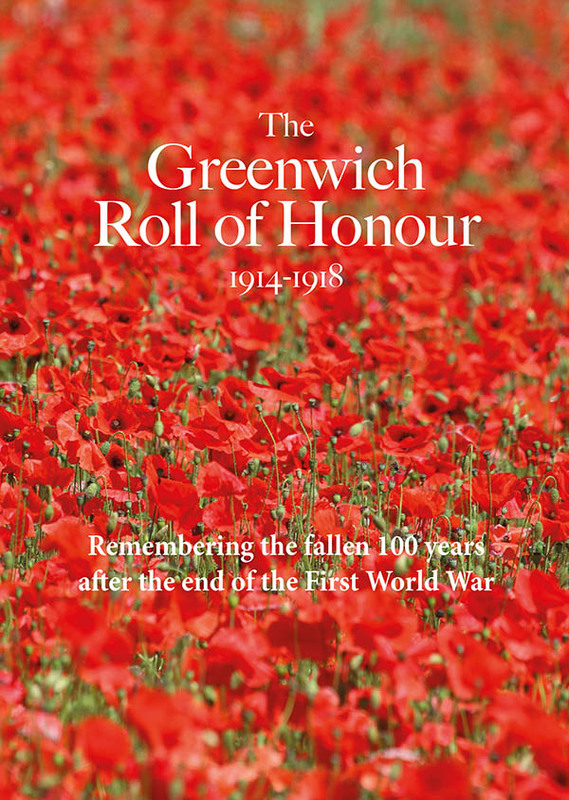 "Proceeds from the sale of the calendar will help enable Greenwich.co.uk to continue reporting local news and keep commissioning paid writers as it enters its fifth year." The calendar includes images from the royal borough celebrations, from the Queen's visit, from the London Marathon, the re-opening of the Cutty Sark and of course the Olympics and Paralympics are represented too. COUNCILLORS will decide next week whether to give the go-ahead to almost fifty new student flats in East Greenwich. The developer behind the scheme has proposed a 47-bed block of student accommodation in Denham Street on a plot of land previously used as offices and a depot by Lewis Coaches. Eleven letters of objection were received by the council, citing concerns over increased noise, parking and loss of light and TV reception but officers have recommended councillors back the scheme at the Greenwich Area Planning Committee next Wednesday evening. Councillors will also consider whether to approve the demolition of three Victorian houses at the meeting. The empty homes at 24-28 Greenwich High Road would be replaced by four new townhouses, if planning permission is agreed. 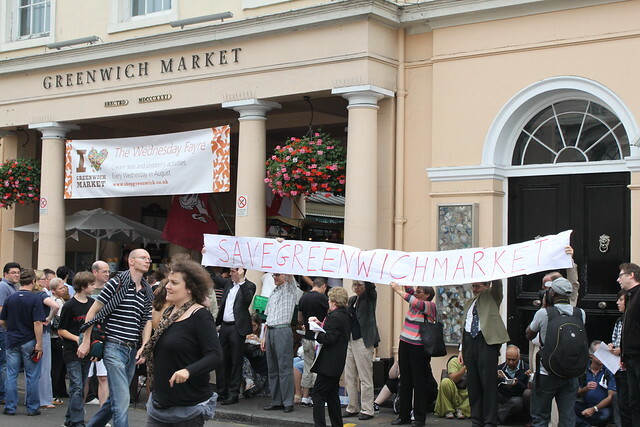 Ten letters of objection have been received and the redevelopment is also opposed by the Greenwich Society and Greenwich Conservation Group. In its objection, the Greenwich Society cited "the need to preserve as much as possible of 19th century fabric." 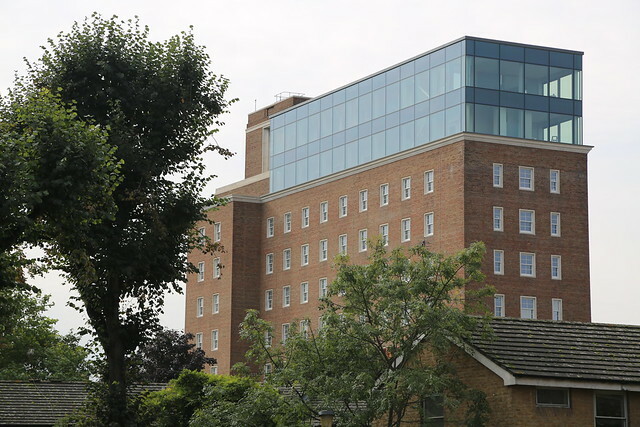 The houses back on to the car park of Greenwich's newest hotel, the Mercure, and councillors will also be considering whether to approve a new internally illuminated rooftop sign for the boutique hotel. Periquin Limited is the name of the developer that is behind both the hotel and the application to redevelop the houses in Greenwich High Road. On a busy night for councillors, they will also decide on the latest bid to develop the land at the corner of Roan Street and Straightsmouth with the developer wishing to build a three storey block containing two flats. THE LEADER of Greenwich Conservatives has questioned why the District Auditor didn't raise the handling of the bungled foot tunnel refurbishments in her report on the council's performance. The District Auditor's Annual Audit Letter, a summary of her 2011/2012 audit, was published at last night's full meeting of the council. "I concluded that you have made proper arrangements to secure economy, efficiency and effectiveness in your use of resources," wrote the District Auditor in the letter. 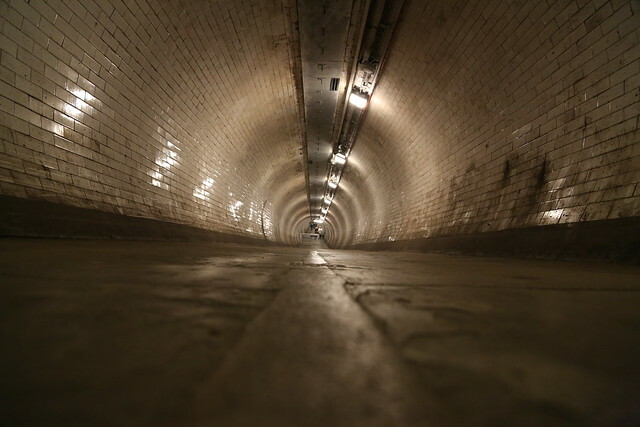 But the council itself admitted last month that its £11.5million refurbishment of Greenwich and Woolwich foot tunnels had gone wrong over the last two years and announced it would commission in an independent review of its procedures. Tory leader Spencer Drury told councillors that the "serious mismanagement" of the project should have been mentioned by the District Auditor. "Surely, the District Auditor should be mentioning that sort of concern in a letter which is supposed to reflect the procedures and financial performance of the borough. "The District Auditor is the person I look to to provide us with some assurance about what's going on. I don't think this letter reflects the serious concerns which we should have been aware of and we should expect the District Auditor to make us aware of." Councillor Peter Brooks, deputy leader of the Council, said the report represented another positive year for the council. "It's pleasing to note the council continues to demonstrate strong financial resilience despite government cuts and the economic downturn," he said. Cllr John Fahy said council officers were working through the draft report by the NHS Trust Special Administrator (TSA) to come up with a response. He said the report was "probably better than we expected... there are obviously some positives and some serious negatives particularly in regards to waiting times." Cllr Fahy also revealed that the Special Administrator had been invited to a Scrutiny Panel meeting, open to the public, on November 15th and said the council wanted the TSA to hold more public meetings across the borough. Cllr Hyland also stated that she expected Circus Field to be reinstated by Spring 2013. Councillor Maureen O'Mara admitted "errors" in the way the Run to the Beat event was handled. The effectiveness of barriers erected in the Greenwich Foot Tunnel will shortly be reviewed, said Cllr Hyland. A DRAMATIC shakeup of NHS services in south-east London has been proposed by the Administrator of South London Healthcare Trust (SLHT). The Special Administrator, Matthew Kershaw, was put in charge of the debt-ridden SLHT during the summer and has now published his draft six-point plan for overhauling local healthcare over the next three years. His proposals would see the dissolution of the SLHT, with Greenwich's local hospital, Queen Elizabeth Hospital at Woolwich, joining together with Lewisham Healthcare NHS Trust. Controversially, Lewisham Hospital would lose its A&E role with QEH providing emergency care for residents of both Greenwich and Lewisham boroughs. The recommendations by Mr Kewshaw, who previously ran Salisbury NHS Foundation Trust, would see Lewisham Hospital, Queen Mary's Hospital Sidcup and Guy's Hospital continuing to provide urgent care for conditions that don't require admissions. A "24/7 urgent care centre" at Lewisham Hospital would still be able to treat 77% of the patients who currently attend A&E, says the Administrator's report. But the proposed closure of Lewisham's Accident & Emergency ward, just months after it benefitted from £12million of investment, has been been bitterly attacked by campaigners who have started a petition to save the local services at Lewisham. A consultation on the recommendations begins on November 2nd and ends December 14th. The Office of the Trust Special Administrator is holding a series of public meetings throughout the consultation period including one at West Greenwich House, Greenwich High Road, on November 13th. The Special Administrator's recommendations can be read online in full or in summary. 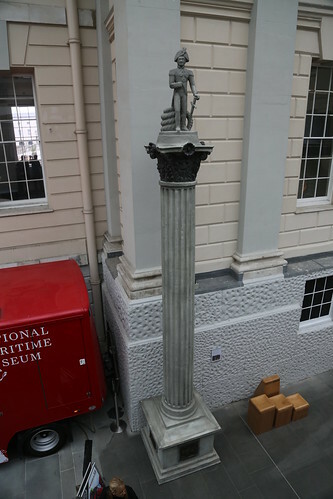 A MODEL of Nelson's Column has been been given to the National Maritime Museum. The 6.5 metre tall model was part of the showjumping course during London 2012 where it was seen by millions of people on TV this summer. 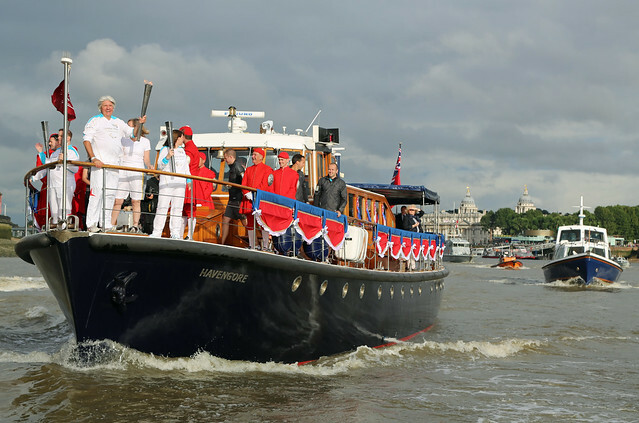 It was built by Bob Ellis Equestrian Services and with the Olympics out of the way, it was presented to the National Maritime Museum in time for Trafalgar Day last weekend by British Showjumping. Andrew Finding, Chief Executive of the British Equestrian Federation said “We are immensely proud of the achievements of our Olympic and Paralympic athletes throughout the Games of London 2102 and are delighted to dedicate part of one of the Olympic Games show jumps “Nelson’s Column” provided by our colleagues at British Showjumping, to the National Maritime Museum as a perpetual memory of an outstanding experience for us at Greenwich. 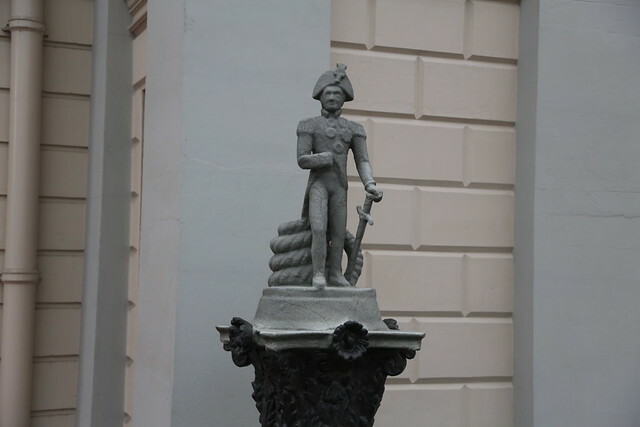 Visitors to the National Maritime Museum can also see the coat that Admiral Lord Nelson wore at the Battle of Trafalgar, his blood-stained breeches and a lock of his hair. RECORDS of burials and cremations in the Royal Borough of Greenwich have gone online. Almost 500,000 burial and cremation records from the local area have been put on Deceased Online for the first time. The records include burial registers, cemetery maps and even photos of headstones. Cllr Maureen O’ Mara, the Royal Borough of Greenwich’s cabinet member for community safety and enforcement said: “The service that the Royal Borough and Deceased Online offers allows residents quick and easy access to a wealth of valuable records that can prove invaluable when researching family history. 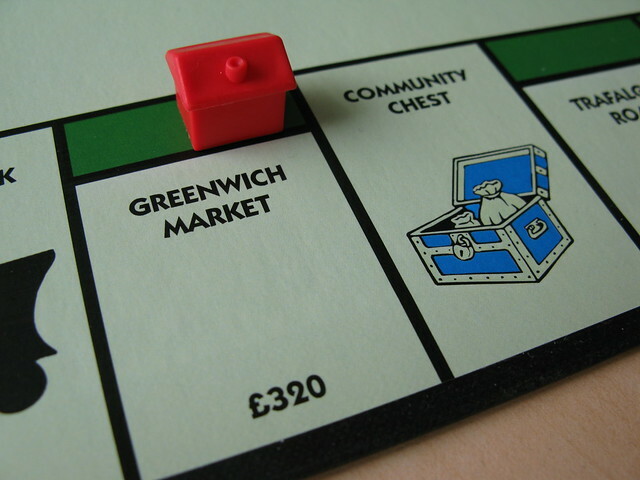 CONTROVERSIAL plans to redevelop Greenwich Market have been DROPPED by landlords Greenwich Hospital. The scheme which would have seen a radical revamp of the historic covered market and a new 100-room boutique hotel will not now go ahead, Greenwich Hospital confirmed today. The news was first announced to traders and tenants last night at a meeting with Greenwich Hospital bosses in the chapel of the Old Royal Naval College. There was an outbreak of applause as the change of direction was explained by Resources Director, Edward Dolby. Speaking to Greenwich.co.uk today, he explained that the uncertainty was "not ideal for us or the traders and shopkeepers." "We want to remove the uncertainty and crack on" with plans to "enhance and improve" the market, he said. Lifting the cobbles and making them "a bit more level, a little more user friendly." Recovering the roof so that it's "lighter, brighter and easier to clean." "We want to get on now and make a difference. We feel that everything else has been coming together around us while our bit of the town centre has been on hold, " commented Mr Dolby. 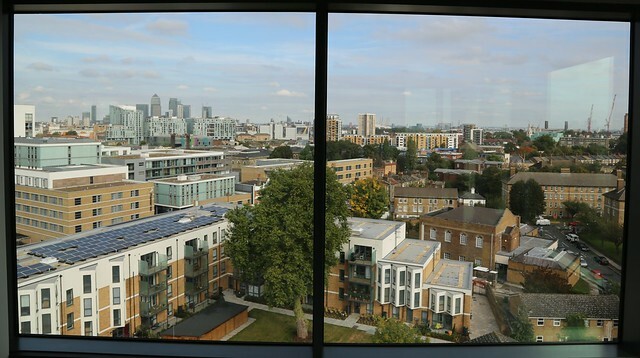 He said the return of some leases from Greenwich Inc had enabled "new opportunities" for the naval charity such as the return of Goddard's Pies and the arrival of Jamie's Italian in Nelson Road where five new flats are planned above. He pointed to the recession as a factor in the decision. " It's been much longer than we'd imagined and where we are today is a very different place from where we were five years ago," he commented. But how much has Greenwich Hospital spent on the aborted revamp, that was bitterly opposed by many traders and unanimously rejected by councillors on Greenwich Council's Planning Board, only to be later overturned after a public inquiry. "It's fair to say that there isn't a figure but it is quite normal for any of these major projects to go through a period of analysis and deep investigation. Sometimes it proceeds and sometimes it doesn't," says new Director of Greenwich Hospital, Hugh Player. "No amount has been spent that is inconsistent with investigating a major project." The "skills and knowledge" gained from that process are helping to "get going [with the improvements] much more quickly," he added. The decision not to proceed with the scheme was taken before Mr Player took up his role as head of Greenwich Hospital, but the former boss of St Martin in the Fields says he is happy to be announcing the decision which he is "confident is the right one." 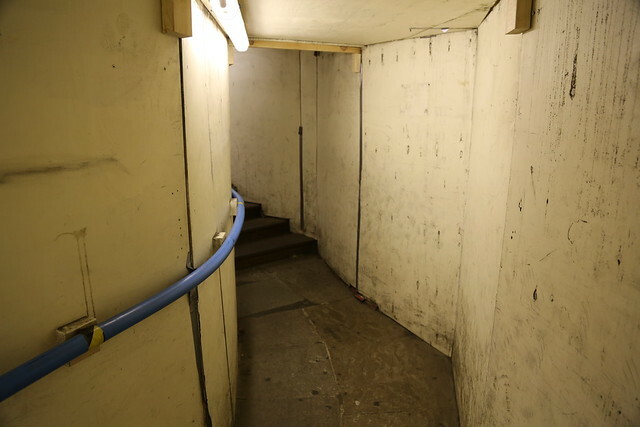 Local Conservatives say council "simply does not know what it is doing"
GREENWICH Council will this week try and work out a way ahead to rescue the stalled refurbishment of Greenwich and Woolwich foot tunnels. Over two years since the £11.5 million upgrade commenced, the tunnels sit unfinished with no work currently taking place, providing "an unacceptable and deteriorating environment," says a report by council officers which will be considered by the cabinet on Wednesday evening. The new plan, expected to be agreed by the Cabinet, will see a new contractor brought in to finish the project and the setting up of an independent review in to how the council runs big projects. The council also plans to appoint legal experts to help recover some of the costs from the bungled project. Work started on an extensive refurbishment of the century-old river crossings in March 2010 after a grant to pay for the works was issued by central government. The plan attracted controversy from the beginning with information short on how tunnel users would be affected while works took place. Dean & Dyball Civil Engineering (DDCE) were appointed as lead contractor with Messrs Sweett as Project Managers and Hyder Consulting as Lead Designer. Sixteen months after work started, with cost estimates exceeded and schedules not met, the council says it engaged in "more intense scrutiny of the project" and agreed a new plan with DDCE to at least get the lifts working by Christmas 2011 but even this revised target wasn't met. By December 2011, the council finally took full control of the project and terminated the agreements with the contractors. The lifts in Greenwich Foot Tunnel were at long last operational by April 2012, but have been hit by frequent breakdowns and there is much work to be done, with stairwells at both side still restricted in width because of temporary hoardings erected. 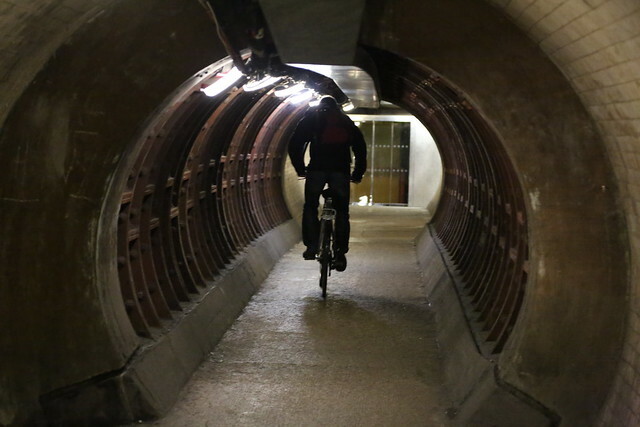 Woolwich Foot Tunnel has no working lifts. In a statement issued at the weekend, Greenwich Council apologised for the "over budget" and incomplete refurbishments. "The Royal Borough of Greenwich shares the frustration of tunnel users and the general public over the time taken to complete this project and apologises for the ongoing delays to this work," says the statement. It adds: "Legal advice is being sought from a firm of specialist construction lawyers to determine any case for recovering the additional costs from the contractors." The leader of the Greenwich Conservatives, Cllr Spencer Drury, told Greenwich.co.uk that the cabinet should be "ashamed." Click here to read the report by council officers that will be considered by the cabinet on Wednesday evening. GREENWICH's newest hotel is just weeks away from opening its doors to the public. The new 145-room Mercure Greenwich hotel in Catherine Grove will welcome its first guests in November following a total transformation. The 1930s building was originally a Metropolitan Police section house but had been empty for years until it was purchased by Periquin Ltd, owned by Lady Rona Delves Broughton. The revamp has seen extensive internal refurbishment and redesign with the addition of two new floors at the top to create penthouse suites overlooking London. 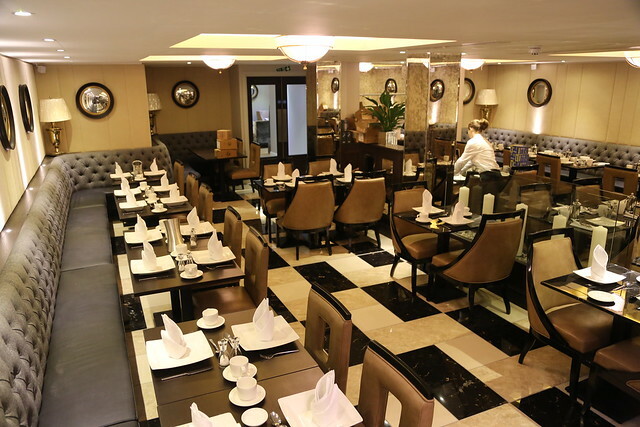 The new four star hotel, where standard room rates start at £139 per night, also has a glamorous bar and restaurant which will both be open to the wider public as well as hotel guests. 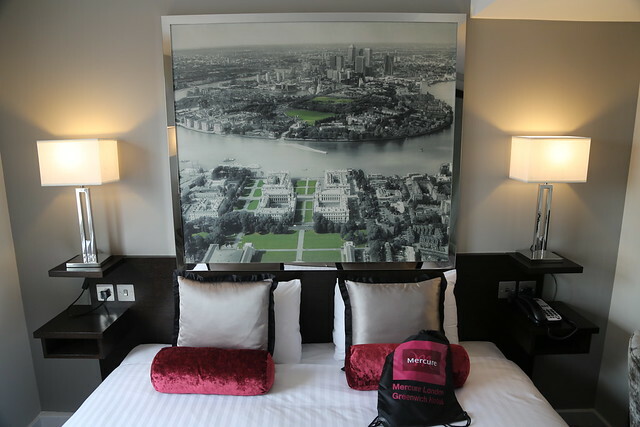 Sales and Marketing Manager, Rachel Osborn, said: "We are thrilled to be opening The Mercure London Greenwich Hotel in such a marvellous part of London. 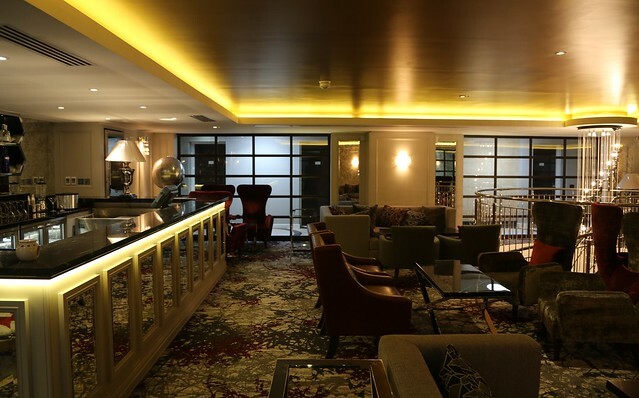 "The hotel design and refurbishment reflects our exceptional surroundings and the team here are ready and looking forward delivering true hospitality to all of our guests."